Fatma was born in Ankara in 1977. She graduated from Ege University, Radio TV and Filming Department. She worked in the media industry for a short time. She realized that she had different interests in life and decided to follow her childhood dreams and became an amateur modern dance performer for several years. This experience encouraged her to explore the boundaries of the body, its potential, and depth. This is why, she started attending yoga classes in 2004. As her practice progressed, she has been attracted by how the Yoga Philosophy approaches the idea of recognizing the true nature of human being. She traveled to India many times, wondering how things work in the land where the yoga was born. She has stayed in ashrams, participated in meditiation disciplines, took Ayurveda courses. She experienced the approach of different yoga schools both in India and in Britain where she lived for a while. She completed Hatha Yoga Instructor program. In 2008, she started instructing Hatha Yoga classes. In 2009, after meeting with her beloved masters Rajiv and Swati Chanchani, she became a student of the Iyengar Yoga School, which she thought was healing. 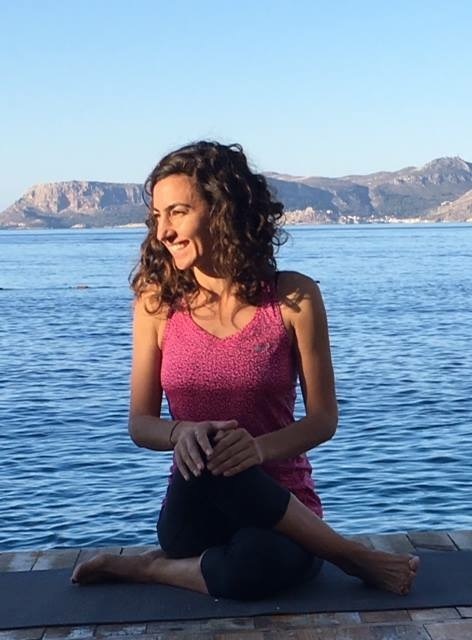 By courtesy of Guruji B.K.S Iyengar, Fatma is one of 8 students who have completed 3 years of Iyengar Yoga Instructor Certification Program by Sheila Haswell for the first time in Turkey. Some of the other treasured coaches that she had the chance to work with are dear Geeta Iyengar, Usha Devi, Ros Bell and Olga Zvanstova. Fatma lives in Kas when she is not in India.